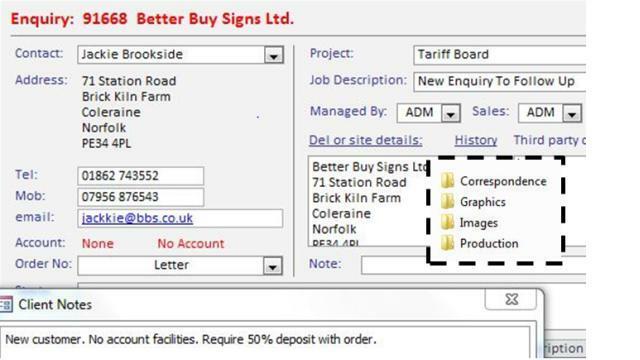 Register a new enquiry and create project folders to hold all information, images and correspondence in 20 seconds or less. No more lost information or waiting until someone comes back to the office. Whatever you want, you know where it is. 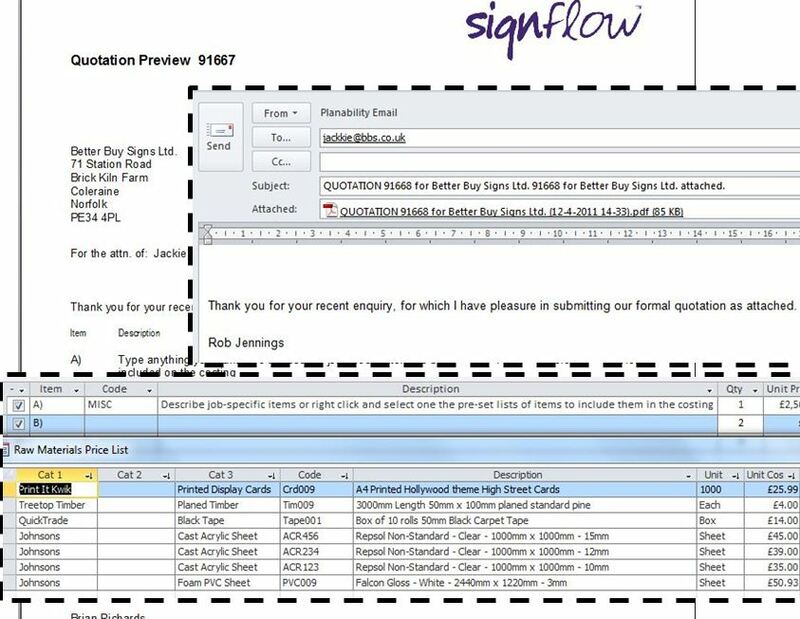 Use Drop-Down Lists to quickly and accurately prepare costings. Email quotations with standard text inserted so that your documents look good and you win the business on the right terms. 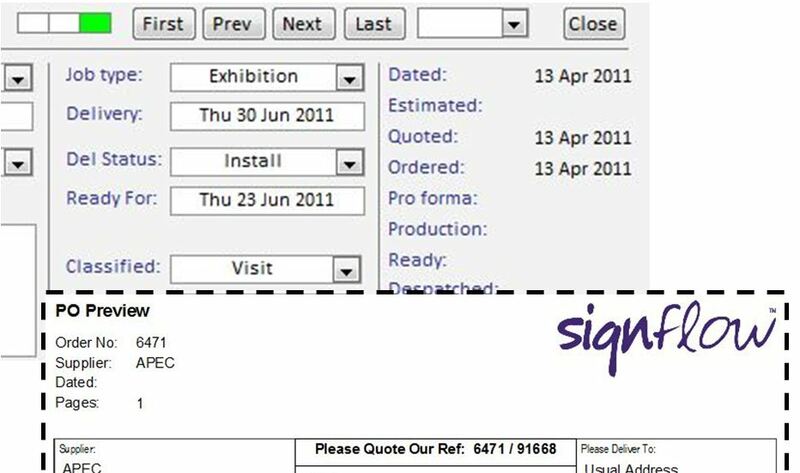 Issue the Order Confirmation with your terms & conditions and change the project status to “Ordered”. Costs from purchase orders raised will be attributed directly to this job for later comparison to the costing. Was the project profitable ? Plan production/subcontractors and all related tasks using templates to automatically apply critical dates to each stage and warnings to keep you on track. Keep an audit trail of changes and monitor their effect on profitability. 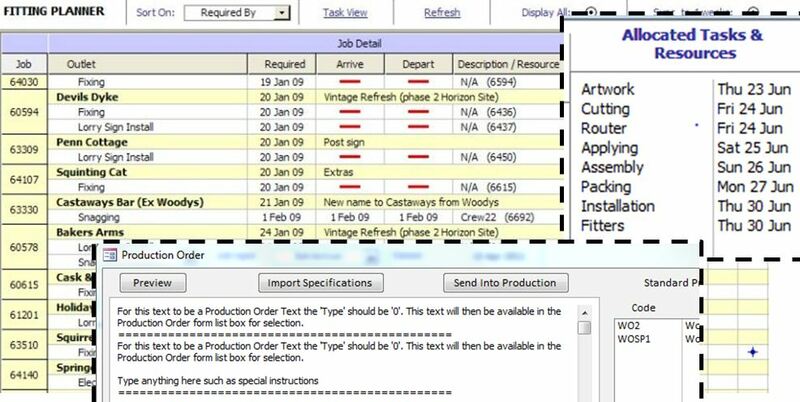 Production Orders allow you to plan and monitor the progress of every job. 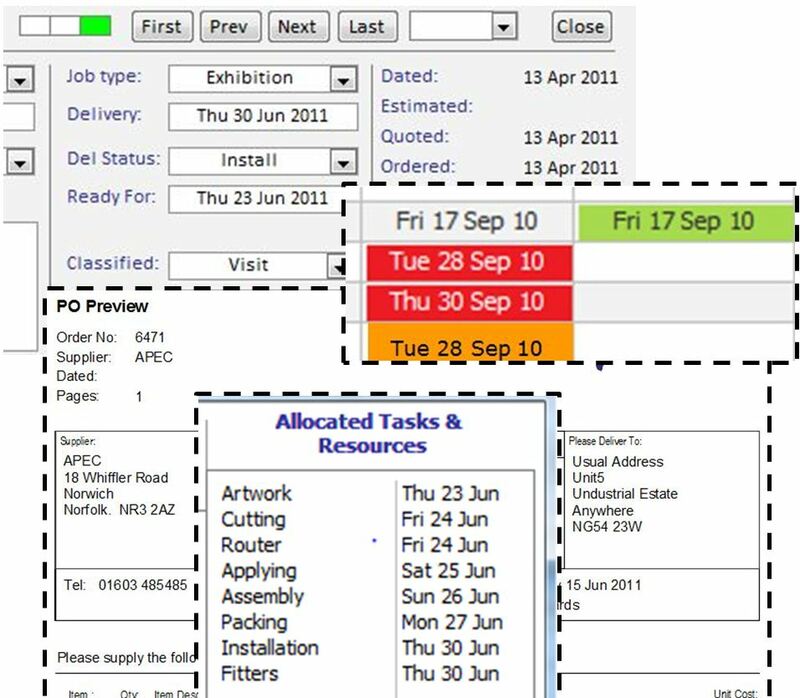 Planability ETI provides visual overviews and critical date exception reports so that you can immediately identify potential problems. 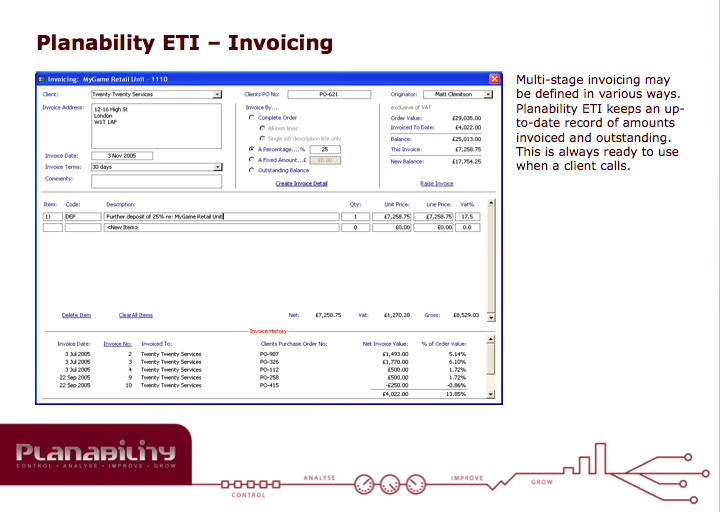 Planability ETI is configured to mirror the critical project stages in your business. As soon as the status reaches “Despatched”, the Project Manager is prompted to raise the invoice, usually by email, direct from the system.